Winds, prolonged drought, and high temperatures have combined to make Arizona's forests and desert areas EXTREMELY dry. Long term drought, changing fuel conditions and the resulting unpredictable fire behavior, combined with increased human activity suggest that this has the potential to be a busy fire year. Conditions change; for your safety, stay informed on current and predicted conditions in your community, and when you are enjoying the outdoors. 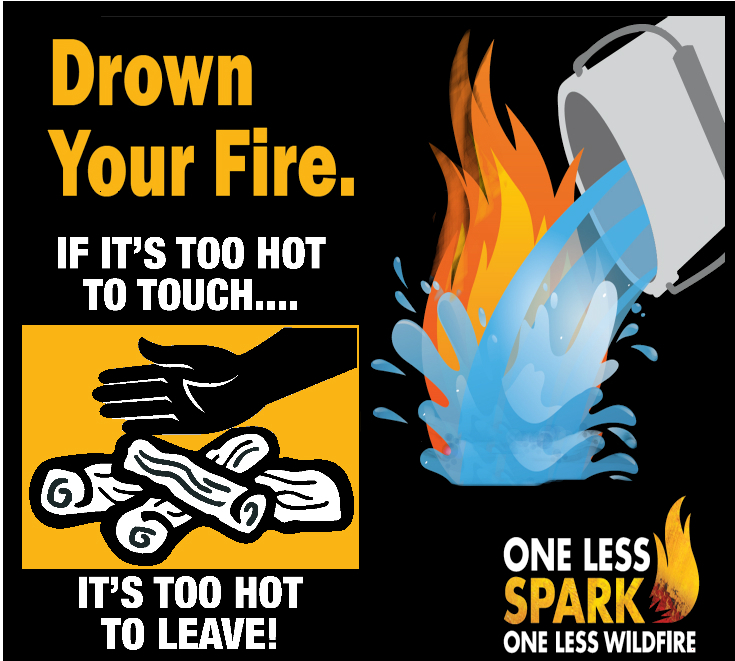 It only takes one spark on dry grass, leaves, branches or pine needles to start a wildfire. Even live trees and brush are dry enough to easily ignite. Wildfires impact recreation areas and may destroy homes and cabins, and threaten lives. Chainsaws, dragging trailer safety chains, carelesssly tossed cigarettes, fireworks, abandoned campfires, debris buring around homes and property, and discharge of firearms are all known causes of wildfire. Warn others of potential dangers and behaviors that may start wildfires. In Arizona, many areas due to dry conditions will enter into fire restrictions in late April or May and typically rescind those seasonal restrictions in September or October. This is seasonally variable. Fire restrictions vary, but most mean that no open fires are allowed except in established campgrounds with fire grills or pits. Some areas have prohibited all fires except gas or propane camp stoves, some restrict all types of flame. Take plenty of water for cooking, drinking AND putting out your campfire*. *When and where permitted. IF IT'S TOO HOT TO TOUCH IT'S TOO HOT TO LEAVE. Grass burns quickly and dry, windy conditions can turn into a wall of flames in minutes. Also be sure that all vehicles and tires are in excellent working order; safety chains or other trailer equipment must not drag or dangle; these can get hot or create sparks causing not just one but multiple wildfires. Look behind you as your driving to make sure all is well. It's always a good idea to carry a fire extinguisher. Sparks from mowers, chainsaws, welding torches, and other equipment can cause wildfires. Check your lawn and property for large rocks before mowing. Mower blades striking rocks can create a spark. Use a string trimmer in high grass and weeds or where numerous rocks are present. Use and maintain spark arresters on motorized equipment including chain saws, ATVs, and motorcycles. Refrain from welding and use of activities or equipment that may create a spark when fire danger is high. Follow fire restrictions and closures--in some areas and/or when extreme fire conditions are present chainsaws or small combustion engines may not be allowed. A burning cigarette is a small fire ready to become a larger one. Cigarettes are made to burn long and slowly and can start fires even hours after being dropped or thrown away. Never walk off and leave a burning cigarette and be aware of all smoking restrictions when recreating on public lands. Never throw a cigarette out a vehicle window. Extinguish and dispose of appropriately. The use of fireworks, explosives, and exploding targets is not permitted on public lands throughout the entire state. Sparks from fireworks can cause wildfires in dry vegetation. 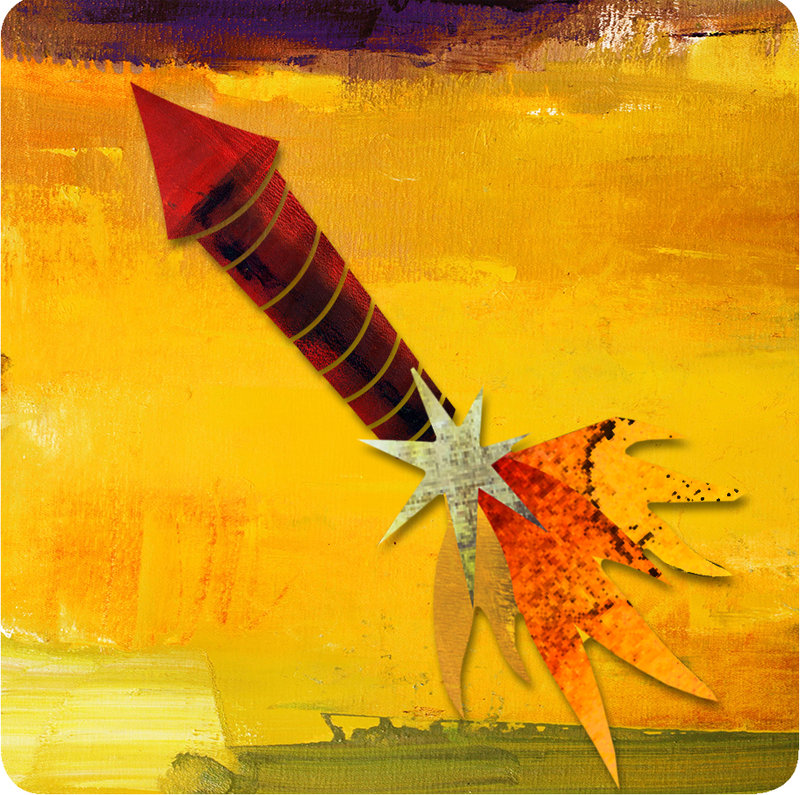 Many cities and towns in Arizona have individual regulations that restrict the use of fireworks. Check County and/or Municipal regulations BEFORE you purchase or use fireworks. If you purchase fireworks ensure they meet State standards and used in an area clear in at least a 10' radius of any flammable materials and you have water and/or a fire extinguisher available. Some towns and cities host fireworks displays as part of their holiday celebrations. We recommend you leave the fireworks to the professionals. Please check your local newspaper for times and locations. During dry and hot weather conditions the use of certain ammunition and targets could ignite a wildfire. Target shooters and hunters, as well as other outdoor enthusiasts, need to consider the potential consequences of their activities in fire-prone environments. Shooting of tracer rounds or exploding targets is prohibited on federal public lands in Arizona year-round. Make it a point to know the regulations and rules related to shooting in areas experiencing dry and hot conditions, whether on public or private land or at shooting ranges. Many federal managed public lands, for example, do not allow recreational shooting when fire restrictions are in effect. Consider the type of ammunition and targets you are using. Minimize the risk of fires by not using steeljacketed ammunition, ammunition with steel-core components. Check for Fire Restrictions. 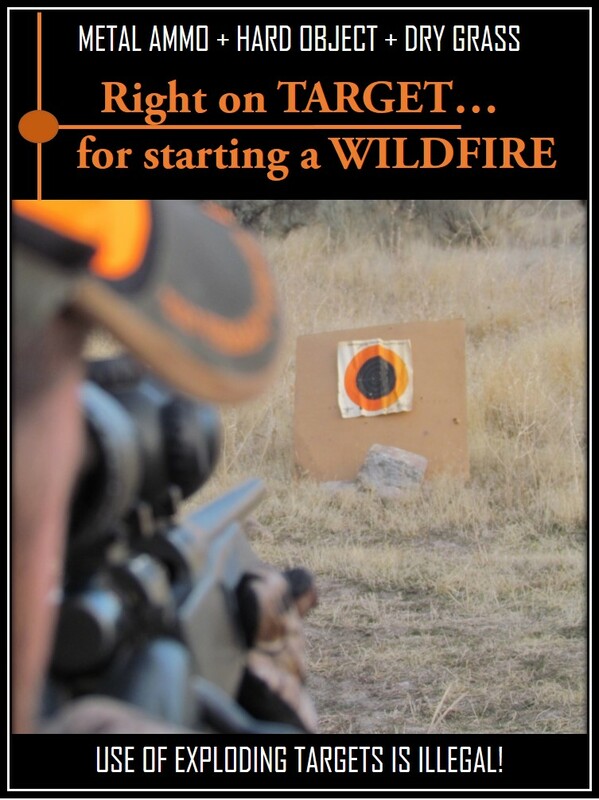 Fire restrictions vary, some areas may restrict target shooting outside of participating in a lawful hunt. In Arizona, many areas will initiate fire restrictions due to extremely dry conditions, typically in late April or May and typically rescind those seasonal restrictions in September or October. This is seasonally variable. To a wildfire, your house or cabin, if built of flammable materials, is only fuel. Wildfires do not discriminate between trees and homes--if it's flammable it will burn. You can take steps to protect your home from a wildfire's flames. These simple steps to create defensible space, an area around your building that discourages fire from coming too near, will give your home a fighting chance, not IF but WHEN wildfires occur. Slope, vegetation types, planting design, location of outbuildings all affect a wildfire's ability to reach your home.